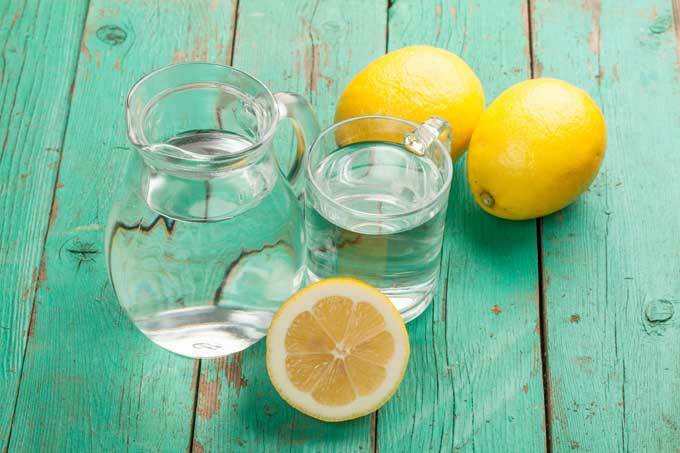 10 ways in which lemon water rocks the health and beauty stakes! Home / Acne / 10 ways in which lemon water rocks the health and beauty stakes! If you can make time for only one small thing that has a HUGE impact on your health and skin, let it be this: start the day with a mug of warm water and the juice of half a lemon. I started doing this a fortnight back – while reading about how this ancient remedy is a cornerstone of so many detox programs, including the Blue Print Cleanse – and my skin has never looked better. And I have had far lesser sneezes and sniffles despite it being full blown allergy season. Seriously, it’s so simple and the benefits are just too good to ignore. Let’s start at the beginning: lemons are chock full of vitamins B and C, riboflavin and a whole host of minerals like calcium, phosphorus, magnesium – all of which are needed by our body throughout the day. Vitamin C is not just terrific for boosting your immune system, it also slows down free radicals that contribute to disease and premature ageing. Plus, it’s fabulous for your skin. What more could you ask from a few drops? Lemon water contains bioflavonoids (also known as vitamin P), which help you maintain a healthy blood pressure. The human body performs best when it’s more alkaline as diseases largely breed in acidic environments. And while lemons seem to be acidic, they actually have an alkalizing effect on the body. Therefore, by drinking lemon water you can stabilize your pH levels, which helps the body remove toxins, boosts the metabolism and fights germs. Lemons are high in pectin fiber, which helps fight hunger cravings. They also regulate the body’s metabolism and absorption of sugar. Added bonus: people who maintain a more alkaline diet lose weight faster. The combination of lemon juice and warm water stimulates the gastrointestinal tract and boost peristalsis – the waves of muscular contractions within the intestinal walls that keep things moving. Lemons are also high in minerals and vitamins that help loosen toxins in the digestive tract. And lemon juice encourages the liver to produce bile, which is essential for digestion. Enough said. 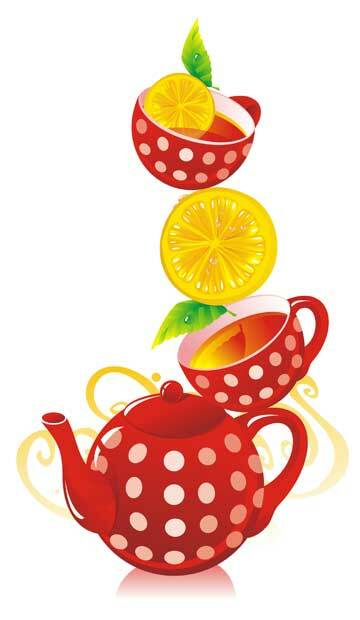 Lemons increase the rate of urination, thereby releasing toxins at a faster rate to keep your urinary tract healthy. This cup of goodness helps start the day on a hydrated note, which prevents dehydration (obviously) and adrenal fatigue. The adrenals are two small hormonal glands that sit on top of your kidneys and regulate many different bodily functions, such as blood pressure and the ability to handle stress. The adrenals simply can’t do their job when dehydrated. Lemon and water are a fantastic way to rehydrate and replace fluids lost by your body. QED! Vitamin C is one of the first nutrients that gets depleted when our mind or body are subjected to stress. And lemons are chock full of vitamin C, making this fruit a natural energizer! Lemon juice and hot water are a potent combo for terrific skin on multiple levels. Besides all the qualities discussed above – all of which are important for healthy skin in their own way – lemon juice is also a natural antiseptic that helps in curing several skin related problems. Besides this, it contains citric acid, which helps fight acne. And the vitamin C content helps decrease wrinkles and purges toxins from the blood. I drink warm lemon water with honey every morning, as a result my skin is brighter. I love your blog. Thank you for sharing your knowledge. Drink it mainly for the digestive & health benefits, and of course it can be very refreshing! I drink lemon water every morning! In the summer I prefer it cold so I leave a big jug of water with halved lemons in my fridge. I often add rosemary, mint, or crushed berries as well! I call it my detox water and it’s part of my daily morning ritual. When I’m traveling I always come back home with dull skin and blemishes because I haven’t had my daily dose of lemon.